What does it mean when I say that last week’s healing isn’t going to heal you today? Well, to explain this, why don’t we consider the phases of healing from recovery of any running injury? For all kinds of tissue healing, there are basically three phases of recovery. You have the inflammatory phase, the proliferative phase, and the remodeling phase. First when you get an injury, you get inflammation. You get redness, swelling, heat, and pain. You get all of those things where you get fluid infiltrating the tissue. You get cells coming in to clean up the damage and start repairing the mess. Once the inflammatory phase ends, the proliferative phase begins, and that’s where the building actually happens. That’s where you get new collagen fibers laying down to repair damaged tissue. Bones start to get stronger. Then, long after that, months later, you have the remodeling process where the tissues that have been stabilized and are strong enough to sustain general activity become stronger and stronger and more like normal tissue over time. You have three phases of healing, and we accept that. 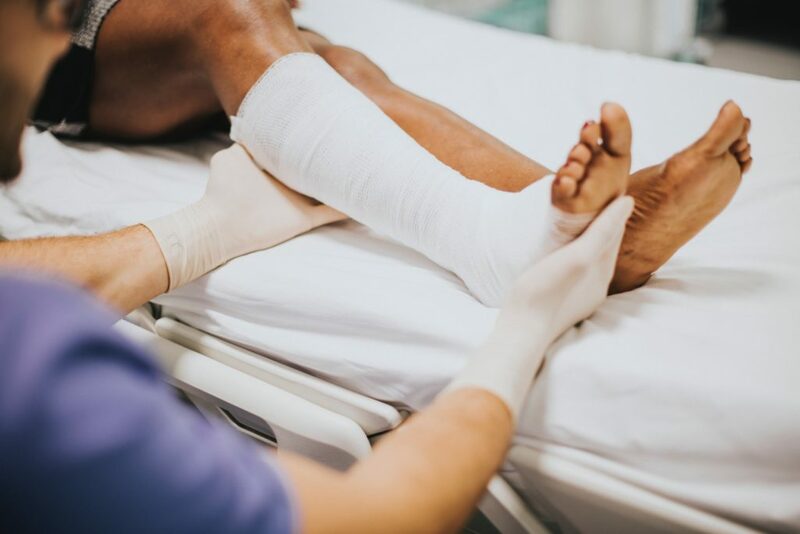 We know that injuries last a few days in the inflammatory phase, weeks to months in the proliferative phase, and then many months in the end of the recovery phase that we call the remodeling phase. You know that that’s going to happen, right, but we try to divide up into these very broad categories, but stuff is happening all the time. It’s not like you have three phases where it’s just three times when you’re at specific different phases of healing, but that’s how doctors often treat runners, and we try to treat like normal patients. We try to say, “Okay. Well, look, we know it’s going to take four to six weeks for this injury to heal,” and so you immediately think that the same stuff is going to happen throughout that entire four to six-week window. That’s absurd if you really think about it and you just think about it reasonably and logically. How does healing change on a weekly basis, because it does change? It’s going to continue to change throughout the healing process from day to day. No, it’s not going to change a great deal in one day, but it’s going to change a lot in a week, and it’s going to change a whole lot more in two weeks, so you have to really think about this in terms of what’s realistic. I mean, if you think about your training plan, how often do you change things? Why is it that you can do a whole lot of stuff three weeks later that you couldn’t do on day one? Well, because you’re a lot stronger at three weeks. Why can you do a lot more stuff at three weeks than you could at day one? Because you’re a lot stronger, right? Everything’s getting stronger: your muscles, your tendons, your bones, your ligaments, everything. You’re getting stronger and stronger the whole time you’re training and the whole time you’re healing. You would not start a training program, and your coach would not give you the same stuff to do every day for six weeks. Your coach is going to give you progressive increases in activity that are going to build strength faster because you’re able to withstand more activity, more workouts, more training, more abuse, per se, throughout your entire course of run training. If you think about it from a healing standpoint when you have an exaggerated over-training injury, actually, you have a running injury, well, it’s the same process, right? You know that, on day one, yeah, it might hurt if you walk on it. Well, if it takes six weeks to heal, does that really mean you can’t walk on it for six weeks? Probably not. You have to think about what can really change throughout that course of recover the same way that you would think about how things change throughout your course of training. You really need to think about the four to six-week window because that’s the most common thing I hear from runners. They say, “Oh, I went to see the doctor. I had Achilles tendonitis. I had plantar fasciitis. 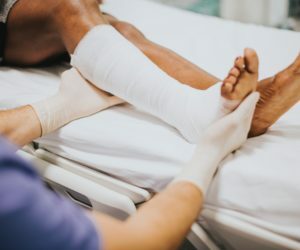 I had a stress fracture, whatever, and my doctor said it’s going to take four to six weeks, so I should just not run and wait for four to six weeks.” Does that really make sense if you think about it in terms of how you heal in relation to your training plan? I mean you should be able to progress faster if you increase it thoughtfully and you reevaluate it more frequently. You really have to try to adjust, and you have to change your healing plan more on a weekly basis instead of just this every month or every six weeks or something like that. That’s the first thing is that you have to realize that you should have goals in healing that are going to match your current level of new strength in the tissue with appropriate increases in activity and motion. The problem with that, of course, is that there is not hard and fast rule. As doctors, we see you as a runner who has an injury like an ankle sprain or achilles tendonitis or a stress fracture, something like that. We want to be able to give you the straight answer, meaning it takes six weeks for bone to heal. It takes four weeks for this particular soft tissue to heal. We want you to know that you’ll be good in four weeks or six weeks. The problem is is that, if you’re not doing anything, if you’re just, quote, unquote, waiting to heal while you are waiting for that four to six-week period to run out, nothing’s happening with your strength other than you’re getting weaker. You’re losing all your fitness, and that is going to predispose you to other injuries later, so it’s really important that you remember that whatever you were doing last week when you got injured and you started healing, you could probably do and more this week than you did last week. It’s crucial that you talk to your coach and your doctor to try to figure out what plan do you have this week? What are you going to do this week? What can you do this week that you were not doing last week? What can you do differently now? How can you shift? How can you increase your activity? How can you do a little bit more to maintain your running fitness? How can you do a little bit more to stay flexible? How can you do a little bit more to make sure that, when this thing is actually totally healed, you’re actually ready to go run, that you’re not going to get re-injured because you have been sitting still for the entire time waiting for this one injury to actually heal? That’s the big thing. Don’t forget, whatever you were doing yesterday isn’t necessarily what you need to be doing today. Whatever you did last week is not what you necessarily need to be doing this week. You need to shift gears and change when it’s appropriate. That’s true of most things, right? I mean when you’re driving your car down the highway, are you really just going to steer the car every exit or so? No. You have to keep changing direction all the time based on the feedback you get. That’s where your coach and your doctor come in. You have to listen to the feedback. You have to pay attention to what’s going on. You have to look for the opportunities to do something new and increase your fitness, increase your strength and actually accelerate your healing process. If you do that, if you really pay attention to what you could do this week that you couldn’t do last week, you really can heal a lot faster than the average patient, but it takes a lot of communication, and redirection, and really paying attention, and trying to reevaluate much more frequently. That’s the bottom line, so remember, last week’s healing will not help you today, so talk to your coach, talk to your doctor. Figure out what you can do right now to get back on track and get back to running sooner. If you have a question that you would like answered as a future edition of the Doc On The Run podcast, send it to me, and then make sure you join me in the next edition of the Doc On The Run podcast. Thanks again for listening. «« #132 Why runners heal faster.